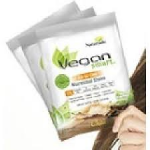 Want to try VeganSmart? Fill out the request form and they’ll mail a free sample to you. Please allow 2 to 3 weeks to receive your sample. Note: One single serve per household, limited amount available. Samples will be shipped only within the Continental U.S.A.